A great breakfast that is both light and nourishing. Good for all Doshas/body types! 1. Drain soaking liquid from mung beans and place in a blender with your greens and herbs. 2. Blend on high speed for about 1 minute, adding a small amount of water (about 2 tablespoons) until smooth. 3. Add cumin, salt, turmeric, ginger, and asafoetida and blend again briefly in the mixture with enough water so that the batter is a medium-thin consistency similar to wheat-flour pancake batter. 4. Heat a small amount of ghee (1⁄2–1 teaspoon) in a skillet or griddle on medium heat. 5. Drop a small ladle full of batter (1⁄4 cup) onto griddle and spread in a circle. Cook on first side until edges start to brown and lift, about 5 minutes. 6. Flip pancake with spatula and cook on second side until golden brown, about 3–5 minutes. Repeat steps 3 through 5 with the rest of the batter and ghee. Serve warm with a little yogurt or cilantro chutney on the side. You can get the spice asafoetida at any indian grocery store. Store left over batter in the fridge for no longer than 2 days. If you do not want to use Ghee (to make it vegan) use coconut or sunflower seed oil. Cut apples into half and core out the seeds. Wrap in tin foil and bake at 350 until soft and juices are oozing. Once the apples are done, unwrap them and let them cool. In the center (where the core was) add 2-3 walnuts. Drizzle the apples with a little bit of ghee and cinnamon. Serve warm with a few dollops of yogurt or eat as is! 1 in a mixing bowl, take 3/4 cup apple puree, 1/4 cup oil and 3/4 cup sugar. 2 with a wired whisk, stir this mixture so well that the oil is incorporated evenly. 3 now add 1 tbsp apple cider vinegar or regular vinegar or lime juice to this wet mixture. 4 In a separate blow add dry ingredients - 1 cup all purpose flour, 1/2 cup buckwheat flour, 1/2 tsp baking soda, 1 tsp baking powder, spices and a pinch of salt. 5 add vanilla powder or scraped vanilla bean or vanilla extract. 6 Add chopped nuts and fold in dry ingredients in the wet ingredients lightly. don't over do. 7 the batter should feel light. 8 pour the batter in the prepared pan. 9 bake at 350 degrees in a preheated oven for 25 to 35 mins. 10 once baked and a toothpick inserted comes out clean, remove the cake from the pan. After it cools a bit place on a wired rack or tray for the cake to cool down. 11. Put a thin layer of unsweetnend apricot preserves on top for a glossy finish. Or put your favorite vegan frosting on it for an even sweeter treat. 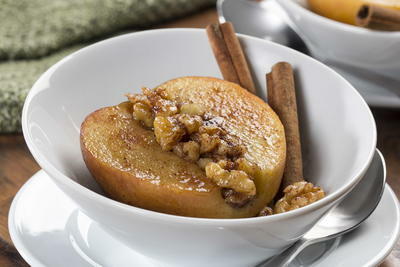 12. slice and serve the apple cake with warm spiced milk or tea. It goes great with a dollop of yogurt or apple sauce! Chop all the vegetables ahead of time so you are ready. In a heavy bottom pot, warm the sunflower oil on medium-low heat. Add the garlic and sauté until light brown (do not burn), add all the spices and stir for about 30 seconds. Add the tomatoes and sauté until soft. Add all the vegetables and stir to covering the veggies with the spices and tomatoes, then add the water or vegetable stock slowly, enough liquid to cover the vegetables. Let this come to a boil and then reduce down to a simmer and cover for about 15-20 minutes or until the vegetables are soft but not over cooked. ​Add the beans and the salt to taste. Stir for a few moments. Turn the heat off and let it sit covered for 20 minutes so all the flavors come together. If you are using canned garbanzo beans, make sure to wash and rinse them at least 2 times before using. If you are making garbanzo beans from scratch, remember to soak them over night and cook until they are quite soft. Serve over rice, quinoa or with a nice crusty bread. You may also add a bit of yogurt on top. Fresh nut milk in minutes! Add all ingredients to a blender and blend until combined and frothy. Drink immediately or within 2 days refrigerated. When you are ready to drink this, make sure it is room temperature (not ice cold) or warmed. You can add some ghee or coconut oil if you like for extra nourishment. Soak quinoa in filtered water for at least 30 minutes and up to 3 hours. Rinse quinoa 2-3 times. Add quinoa and water to a pot and bring to a low boil. Turn the heat down and let it simmer lightly for about 20-25 minutes (checking occasionally). Quinoa should be light and fluffy when it is done, not crunchy or uncooked. In the meantime, cut the corn off the cob by running a knife down length wise into a bowl being very careful not to cut yourself or let the corn get away. To the corn add the lemon juice, chopped mint, olive oil, salt and pepper. Once quinoa is done, turn heat off and add corn mixture. Stir gently to incorporate and let it steam for about 10 minutes. Before serving add slices of Avocado and Feta cheese. This nourishing tonic is easy to digest, and healing to the nervous system. It will nourish Vata and Pitta and slightly increase Kapha. If you are primarily of Kapha constitution or you are experiencing a Kapha imbalance, simply leave out the date and decrease the oil to 1/4th tsp. Peel the almonds in the AM. Add to blender with the rest of the ingredients. Blend until combined. Place a double layered cheese cloth on top of a Mason Jar tied down with a rubber band so the cheese cloth does not fall. Pour the mixture through the cheese cloth slowly. Once all the mixture has been poured into the cheese cloth, Squeeze the cheese cloth several times to get all the liquid out. If you feel you want more liquid add just a small about of warm water through the almond mixture and cheese cloth. Give it another few squeezes. If you find there are bits of almond in your milk, you can drink it as is or strain it though a strainer. Pour almond milk into a small pot, warm up (do not simmer or boil) and add oil if you like. 1 Cup red lentils, rinsed well as soaked for a few hours if you have time. .Boil cinnamon sticks, bay leaves, lemongrass and ginger to form a nice strong broth. After about 15-20 minutes you may scoop out the enedible matter like cinnamon sticks, bay leaves and lemongrass.
. add all the hard vegetables, carrot, cauliflower, chard stems, zucchini and cook until they begin to soften. .In a small pot, melt coconut oil or ghee and saute the spices (Cumin, coriander) on very low heat until fragrant (do not burn). .add the spices + oil mixture, leafy greens, coconut milk, fresh basil and tamarind and cook until very hot (do not boil). .Let it stand for about 10 minutes. .Serve warm with basmati rice. In the late spring and summer time replace the sweet potato with Zuchini or Cauliflower. Strain the water from the lentils. Rinse and strain 2 more times. Heat the oil on low-medium in a heavy bottom pot. Once oil is warm, add the spices and let them cook at least 30 seconds or until fragrant. Stir with a wooden spoon and make sure not to burn. Once they are fragrant, add just a little water slowly and let this mixture simmer a few moments. Add the lentils and just enough water to barley cover the lentils. Let this simmer covered until lentils are soft. In the meantime, cut carrots and potatoes into cubes. Add to lentils and let cook until tender. At this point add about 1/4th cup or less water a little at a time and allow to simmer uncovered for about 10 minutes. Add the greens and turn heat way down and cover the top for about 5 minutes. Turn heat all the way off and let it sit for another 5 minutes. Serve warm and top with cilantro along side Hari Simran’s Turmeric Rice and a dollop of yogurt. 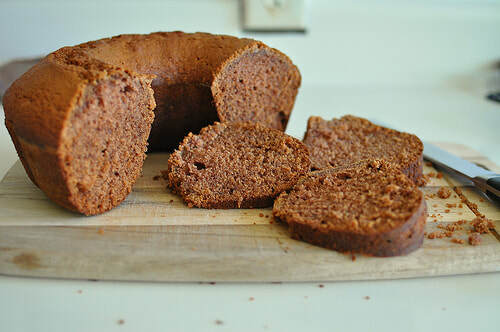 Or you can serve with a slice of whole grain sprouted bread with ghee. This Green Juice is best had in the late Spring and Summer times. Best time of day: 1 hour before lunch or 1-2 hours after lunch. These times are usually the hottest times of day where this juice would be most beneficial. Do not have this everyday. 2-3 times per week is good. Juice in a juicer or in a vitamix. Drink fresh at room temperature. You can add more celery if you like to enhance the calming, cooling qualities of this juice. This beverage is good for all constitutions if you can tolerate dairy. Shake in a glass jar or bottle. Or blend for a frothy texture. Drink at room temperature. ​You can have this as a snack or after your lunch time meal. *This is also a good drink to have as a light breakfast. Do not mix fruit with this drink. When you feel you need a little more than water to help you feel hydrated and nourished! add all ingredients together and let it sit for at least 2 hours or overnight in the fridge. Drink at room temperature and only consume 1X.day. Smoothies are not included very often in the Ayurvedic diet because they tend to be cold and heavy with too many ingredients. This smoothie was formulated for easy digestion, assimilation and provides beneficial nutrients for a perfect light, Spring or Summertime breakfast. Add ingredients to blender and blend until smooth and creamy. Drink at room temperature. *Note: You can sub the water for vegetable broth for added nutrition and taste. You can also add some cashews and cilantro to your rice making it rich and even more delicious! Soak your rice for 20-30 minutes. Then rinse the rice one time and strain. To a small pot add the ghee or oil on low heat. Add the turmeric and sauté for about 20-30 seconds until you start to smell the aroma. Add the washed rice to the pot and stir to combine with the oil and turmeric mixture. Stir until most of the water has evaporated out. Slowly add the 1 1.5 cups of warm water. Stir the rice just to un-stick it from the bottom of the pot. Turn heat to low and cover the pot. Once the water comes to a boil, turn the heat way down and let it simmer until rice is almost done (You will need to check). Turn heat off and let it steam for 10-15 minutes. Take lid off, fluff with a fork a few times and serve warm with any of your favorite dishes. These can be eaten by all constitutions depending on how you prepare them and what you put inside the wraps. For the filling you can use: proteins such as hummus, black beans, lentils or tofu. You can also use some grains like wild rice, quinoa or barley. Whatever you like! • 1 cup of homemade or store-bought hummus, black beans or black bean hummus, lentils or slices of baked tofu. 1 cup alfafa sprouts or any sprouts you like. Options: You can add any baked veggie or spread you like to this wrap. 1 Since the leaves are pretty large, a very wide saucepan is ideal. If you don’t have it, feel free to use a large pot. Fill the saucepan or pot, set over high heat, with about three-inches of water. Add a few pinches of salt and a squeeze of lemon (from 1 wedge) to the water. When the water reaches a simmer, turn the heat down to medium. Add the collard green leaves, one at a time, for about 30 to 40 seconds each. They’ll change color starting at dark green to a brightly-hued kelly green. Remove the leaves from the water and set aside on paper towels to cool. Continue with the collard green leaves until you’ve worked your way through all of them. 2 While the leaves cool, get all your ingredients set up. Sprinkle ingredients with some salt and pepper to your liking. Place a heaping tablespoon of hummus or any spread you like toward the top of the collard green leaf. If you are using beans or lentils or tofu do the same, but place more in the middle of the collard green (like filling a burrito). Top with a small handful of sprouts, a few carrots, a mint leaf, a few leaves of parsley and a couple slices of avocado. There’s no wrong way to do this! Roll the wrap like you would a burrito: tucking in the sides as you roll. Slice it half and set aside. Continue the stuffing and rolling until you’ve worked your way through all of the collard green leaves. 3. Sprinkle black sesame seeds on top and add all the rolls to a glass casserole baking dish( this step is optional). You can choose to warm your collard green wraps at 150 degrees (very low setting) for about 5-7 minutes. Making sure not to leave them in too long otherwise they will become dry. 4. You can dip in any kind of dressing you like. You can make a simple olive oil and lemon dressing, a tahini dressing or a yogurt dressing. You can store these for up to 2 days. Fresh is always best. Tahini is made from sesame seeds, which are high in calcium and magnesium and very nourishing to Vata. This tomato + avocado toast is a perfect light meal that is quick and easy to assemble.. Both nourishing and satisfying. Toast the bread. Mash the avocado and spread evenly. Cut the tomato in thin slices, taking out the seeds as to not make the toast soggy. Place tomatoes on top the avocado. sprinkle chopped cilantro, salt + pepper. Cut the toast into quarters. on each quarter, place a small dollop of yogurt on top. Heat oven or toaster oven to 350 degrees. Wash and cut into thick slices all the potatoes. Dab dry with a clean cotton cloth or paper towel. Spread on to a baking tray. In a glass jar or glass measuring cup, place the oil, spices, salt and maple syrup and give it a good stir until all ingredients are well combined. Slowly Drizzle over potatoes. Using your hands, massage the oil mixture into the potatoes until all are covered. Bake for 15 minutes. Take potatoes out and stir with a wooden spoon. Place potatoes back in the oven for another 15-20 minutes or until the texture you would like them. If you want them crispy, leave in the oven longer. Serve them warm along side sautéed greens or mixed into a hearty winter salad. Or have them with a dollop of yogurt on top. Store leftovers in fridge no longer than 2 days. 4-6 cups of water or veggie stock depending on how soupy you like your Kitchree (Try using Veggie stock for added flavor and nutrients. buy veggie stock with no sugar and no tomatoes if possible. or make your own). Soak the mungbeans or mung dal in filtered water over night and add a piece of Kombu seaweed. in the morning remove the seaweed and rinse the beans 3 times. Then store in the fridge until you are ready to cook. In a medium pot bring the mungbeans or mung dal and salt to a simmer with just enough water added that the beans are a little more than covered. Cut the carrots or sweet potato into small quarters and set aside. When the mungbeans or mung dal are falling apart and soft, add the 1/2 cup of rice and carrots. stir for a moment and continue to let it simmer. The rice and carrots or sweet potatoes will take about 20 minutes to cook on a simmer. Finely chop the onion or leek and celery. In a pan, heat the oil on medium heat. once hot add the onions or leeks and celery and sauté on medium to low heat, stirring every few minutes until the onions or leeks are light brown. This will take about 15-20 minutes. Add the spices and continue to sauté for another 30 seconds. Keep the heat on medium and add just about 1tsp more of oil and a bit of water and let the spice mixture cook for another 5 minute stirring every 30 seconds or so. Keep adding just a little water as the spice mixture thickens. Once the spice mixture and greens have been added, stir the kitchree to incorporate all the spices and oils. once the rice looks like it has blended with the mungbeans you can turn the heat off and let it sit for 10-15 minutes. At this point or anytime throughout the cooking process you can add water or more veggie stock when needed. At the very end add the fresh chopped cilantro. **Do not let the Kitchree stick to the pot. If this is happening you need to turn the heat down and add a bit more water. You do not want the Kitchree to over cook at a high boil. Keep it at a simmer. Serve warm in your favorite bowl. You can eat this with a small dollop of organic yogurt. or a sprinkle of roasted sunflower seeds. Add salt or liquid amino if needed. Share and Enjoy! I love this soup! It is very versatile and you can make it with any lentils you like. I am using mungbeans here but you can use green lentils, red lentils or french green lentils. 5. Cook Mung beans fully stirring occasionally. (they are not fully cooked until they are breaking apart. Will take approx. 45 min unless you use a pressure cooker in which case it will only take about 20 minutes) When beans are almost cooked, add the cut up vegetables. Vegetables should be soft but not mushy. 6. Heat ghee on medium-low in a separate pan. Add mustard seeds and cumin seeds (be careful not to burn). Wait until you hear the cumin seeds pop. Then add the ginger and let simmer for a few minutes until ginger becomes golden brown. 8. Enjoy warm toped with chopped cilantro and a squeeze of lemon. You can also serve with basmati rice or toast. Ojas is another word for vitality. These Ojas balls are delicious, full of vitamins, minerals and portens and are allergen free. For those who are sensitive to nuts, gluten, dairy and sugar these sweet treats are a sure way to feel satisfied without worry. A great substitute for a regular protein bar or trail mix, these little nugets are sure to do the trick. have 1-3 for a light snack with a cup of tea or on the go! In a pan or in a toaster oven, dry roast the sunflower seeds until golden brown (about 4-5 minutes on the stove and 2-3 minutes in the oven). Place sunflower seeds on a plate to cool and add the salt. In the same pan or oven toast the coconut flakes making sure not to burn them, they only need about 30 seconds to 1 minute. Toast until light brown and fragrant. In a bowl, mix half of the coconut flakes with all the sunflower seeds. Add the mixture to a vitamix, magic bullet or blender and blend until it forms a flour or powder. Then to the blender, add the raisins and spices and blend until the raisins seem roughly chopped. Place mixture on a cutting board and cut through the raisins a little more using a knife to make sure there are no large chunks. Add the sunflower seed butter, maple syrup, oil or ghee and mix together thoroughly using your hands or a wooden spoon. Make sure the mixture is nice and moist like the consistency of cookie dough. If it feels too try, add more oil. Once the mixture is formed into a dough, make 1/4-1/2 inch round balls with the dough. Place the remaining coconut flakes in the blender and blend for 30 seconds. Spread blended coconut on a cutting board and roll each ball in it. Place the balls in an air tight glass container in the fridge for at least 2 hours. They will keep in the fridge for up to 1 week. **Have this tea 1 hour before bed. If you are sensitive to sugar do not add any sweeteners. In a stainless steel pot (or any small pot on hand) warm up milk and water. Add spices and turn heat to low. Continuously stir until milk comes to a very low simmer if you are using cow milk. If you are using almond milk do not let it come to a simmer, turn heat off before it does. Pour in a cup and add Shatavari, ghee or oil and sweetener. Stir well. Drink warm and enjoy! **For more protein add 1/4-1/2 TBS Almond Butter or sunflower butter. Soak Almonds over night and peel in the morning. Blend them in a coffee grinder or blender with the oats. Place oatmeal mix and all the ingredients from the list above in a pot. Use more water or milk if needed to make it the consistency you like. Bring to a boil stirring consistently. Lower the heat to a simmer and cook until soft. Garnish with another pinch of cinnamon. You can make this same hot cereal using amaranth, rice or quinoa. You can also add cooked apples, pears or bananas (choose just one fruit as combining can cause gas) to this recipe giving it a natural sweetness if you are sensitive to maple syrup or honey. A warm, nourishing and satisfying tonic. First make the Turmeric Paste. This version of the recipe is meant to make a small amount of turmeric paste that you can store in the refrigerator and use every day for a few weeks which makes it quick and easy to have on a regular basis. Sometimes you can use it in fruit shakes or with apple juice if you are in a hurry and don’t want to drink it hot. Just take a small spoonful and add to whatever you like! (though start small if you are not used to it because it can be bitter in larger quantities). Take 1/4 cup turmeric powder, mix with 1/2 cup pure water and simmer over medium-high heat for at least 7 minutes, stirring constantly. You will notice a thick paste form. If it get’s too dry while cooking you can add additional water. Once cooled, put into a glass jar and put in fridge. This is good for a few weeks to one month. Pour the water and milk into a small pot with the turmeric paste and cardamom. Bring to a low simmer for about 5 minutes. Turn heat off, add oil and sweetener stir or blend well. Enjoy! Ghee can be used in place of butter and is an ideal cooking oil, as it does not burn unless heated excessively. It makes a wonderful body oil for massage and can serve as a base for herbal ointments (for burns, skin rashes, etc.) and can even be used for lamps, with wicks made from cotton balls. Ghee is a digestive. It helps to improve absorption and assimilation. It nourishes ojas, tejas and prana. It is good for improving memory and lubricates the connective tissue. Ghee makes the body flexible and, in small doses, is tridoshic. Ghee is a yogavahi—a catalytic agent that carries the medicinal properties of herbs into the seven dhatus or tissues of the body. Ghee pacifies pitta and vata and is acceptable, in moderation, for kapha. Add Ghee to your favorite dishes and enjoy!